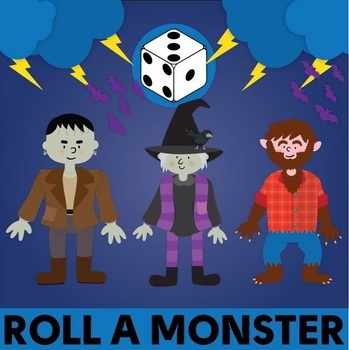 This is a game that can fit in your math centers during Halloween. 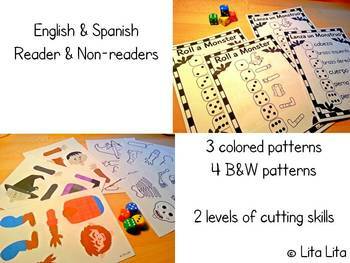 Everything has been done twice (English &Spanish) and I have also included a non readers game chart. Depending on their cutting skills you can ask your students to cut the black line or the dashed line. 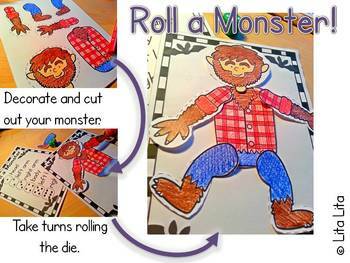 You can also use the templates as a simple craftivity or use the color templates and laminate them to use them again and again. 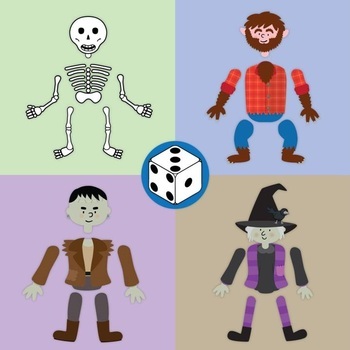 Included: witch, skeleton, wolfman and Frankenstein.